Home / Breeders' Cup / FREE DOWNLOAD – Breeders’ Cup Big Payoff Preview! FREE DOWNLOAD – Breeders’ Cup Big Payoff Preview! 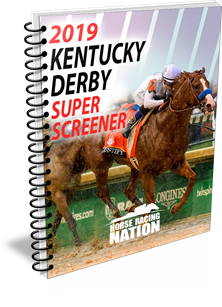 Time is ticking to get your copy of the 2017 Breeders’ Cup Super Screener! If you’re still not sure, check out the FREE Big Payoff Preview here! This 18-page download is a sneak peek at the surprising stats you’ll see when you pre-order the 2017 BC Super Screener. Breeders’ Cup Pre-Entries will be released next week, and with them the first edition of the BC Super Screener, with horse-by-horse analysis and more! ← Previous Story Top Long Shot Pick Wins Shadwell Mile, BC Berth! Next Story → Breeders’ Cup 2017 – Crushing The Cup!